Elliott Farm Equipment is a proud family business that has been serving the Ottawa Valley and area for over 50 years! 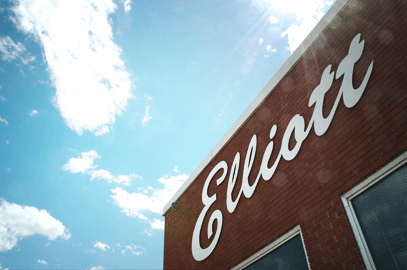 Elliott Farm Equipment was founded by Cecil and Letty Elliott in 1959 where it started out as a dealer for Cockshutt and Gehl equipment. Beginning with solid sales, service and parts departments, Elliott Farm Equipment has grown to become one of the largest farm implement and equipment dealers in the Ottawa Valley. Today, the business is owned and operated by Peter and Patricia Elliott and together with their staff, they look forward to serving you for all your farm equipment needs. We always welcome new and old faces, so be sure to give us a call or better yet, drop on by.